Sandy Huffaker/Getty ImagesA woman walks past prototype sections of the border wall in Tijuana, Mexico. 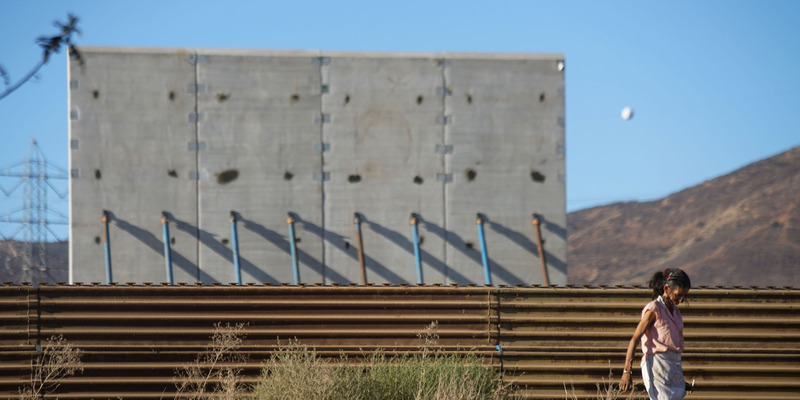 A report from a government watchdog agency has concluded that “key information” is missing from plans to build a border wall along the US-Mexico border. President Donald Trump has promised a border wall since he began his campaign, and in July threatened a government shutdown if Congress doesn’t provide funding to build it. President Donald Trump’s long-promised border wall between the US and Mexico could costs billions of dollars more than estimated, a new report from a government watchdog agency said on Monday. The report from the Government Accountability Office, a nonpartisan group that forms part of Congress’ oversight arm, said that “key information” is missing from the plans. Factors like a varying terrain and land ownership had not been taken fully into account, the report said, which drive up costs. 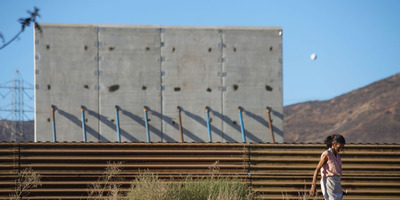 The overall cost of the wall is unknown, so the report simply notes that the administration plans to spend “billions” on its construction and calls for Customs and Border Control to analyse the costs for future sections of the wall. Locations for future sections of the wall had been identified without factoring in where they would be needed to prevent illegal border crossings, the report also concluded. In January, Trump wanted $US25 billion for his wall, but Congress shot him down and provided just $US1.6 billion. In July, he threatened a government shutdown if Congress does not provide funding to build the wall. Conflicting estimates of how much it would cost to build barriers along the entire 1,933-mile border have marked Trump’s quest to build the wall since he first proposed it during his presidential election campaign. An internal report that Reuters obtained in February 2017 said the wall would cost as much as $US21.6 billion. Other estimates have placed the costs higher, with Democrats asserting it could reach $US70 billion to build.